Nipah is a rare virus spread by fruit bats, which can cause flu-like symptoms and brain damage. A fourth member of the same family in Kerala has died of the rare Nipah virus, officials said on Thursday. The family's home in a village in Kozhikode is believed to be the epicenter of the disease that has caused 12 deaths. Officials found "many dead bats" in a well in that home. The family was treated by Nurse Lini Puthussery, who died on Monday after leaving a note that has moved many on social media. The Union health ministry has said the virus has been contained to a "highly localised infection". V Moosa, 62, died Thursday in the same Kozhikode hospital in which his two sons and a sister-in-law died last week. "He was on ventilator support for a week and died today morning," a Kerala health official said. Nursing assistant and mother-of-two Lini Puthussery was in the team that treated the first two victims, the sons of V Moosa. Two other confirmed cases of Nipah virus have been detected and the patients are being treated in hospital. It is unclear whether these patients came into contact with Mr Moosa's family or contracted it elsewhere. 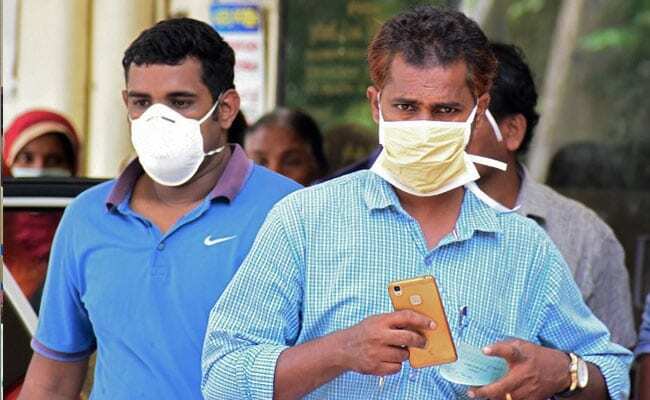 Two other patients were in isolation in neighbouring Karnataka after developing symptoms similar to Nipah upon returning from Kerala. Rajeshwari Devi, a health official in the Karnataka city of Mangalore, told AFP the patients' condition was improving but doctors were awaiting the results of blood tests. At least 17 patients are still under treatment, Kerala Health Minister KK Shailaja said. "All steps to prevent the spread of the virus have been taken," she added, urging people not to destroy colonies of fruit bats. Nipah is a rare virus spread by fruit bats, which can cause flu-like symptoms and brain damage. The Nipah virus or NiV infection has symptoms like breathing trouble, brain swelling, fever, headache, drowsiness, disorientation and delirium. A patient can fall into coma within 48 hours. It travels through direct contact with a patient. There is no vaccine for the virus yet, says the World Health Organisation. The main treatment for those infected is "intensive supportive care", according to the UN health body. The WHO has named Nipah as one of the eight priority diseases that could cause a global epidemic, alongside the likes of Ebola and Zika. Kerala is on high alert over the infection and two control rooms have been opened in Kozhikode. A central team has also been sent to the district to help the state administration. Travel to Kerala, a popular tourist destination, was however declared safe by Rajeev Sadanandan, a state health official, who said the outbreak "remains highly localised", with all cases linked to one family.